In Judaism, turning 13 is very important: it’s when you become Bar Mitzvah—a Jewish adult. The goal of the Bar Mitzvah club is to teach you all about this stage of your life and why it’s so important. The club will incorporate exciting, activity-filled programs that will bring you together with other Jewish boys like yourself every Thursday, to learn all about the meaning of Jewish adulthood—and have tons of fun. Each club meeting will combine fun and education. You will journey through an exciting Bar Mitzvah Discovery Course which will prepare you for this new stage in your life. You’ll participate in interactive and hands-on workshops that’all explain the reason for many Jewish traditions, such as wearing tefillin and reading the Torah. You will also participate in activities, games and enjoy great trips. Bar Mitzvah Club—it’s not just a club: it’s an adventure. 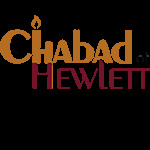 * To arrange a Bar Mitzvah ceremony at Chabad, modest or comprehensive, please contact us. Please note: Though your child will be prepared for a Bar Mitzvah ceremony by learning to put on Teffillin and how to receive an Aliyah, the Bar Mitzvah Club does not teach hebrew reading or reading from the Torah/Haftorah. If you would like to learn to do so, please contact us for private tutoring.